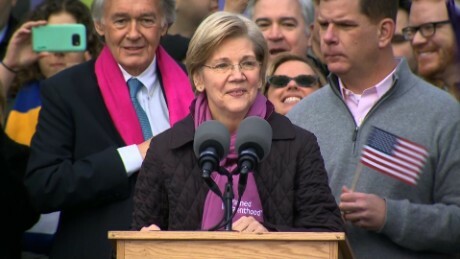 In Los Angeles, more than 100,000 people marched, police said. So many people crammed into the streets that “our march turned into a stand,” said Ellen Crafts, who handled public relations for the event. 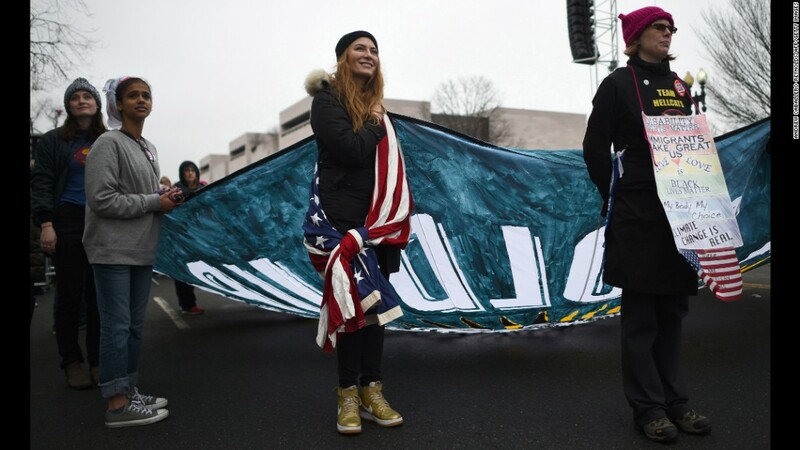 A large crowd walks down Pennsylvania Avenue after the start of the Women’s March on Washington in Washington, D.C., on Saturday, January 21. 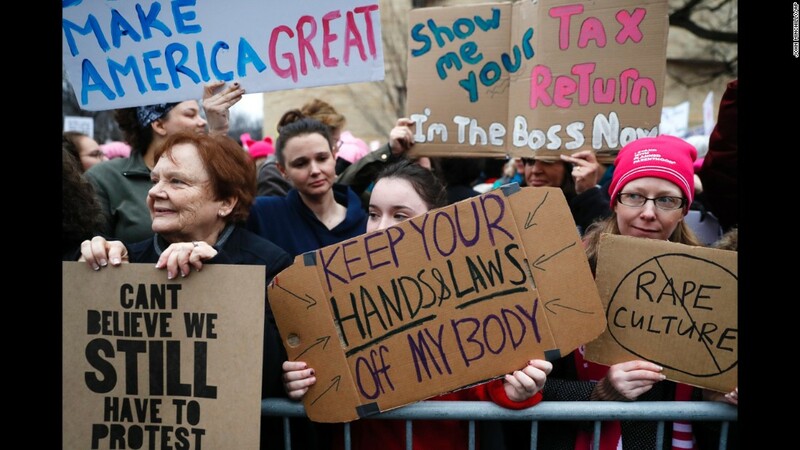 Organizers said the march is sending a message to Donald Trump that “women’s rights are human rights.” Similar protests unfolded across the country. 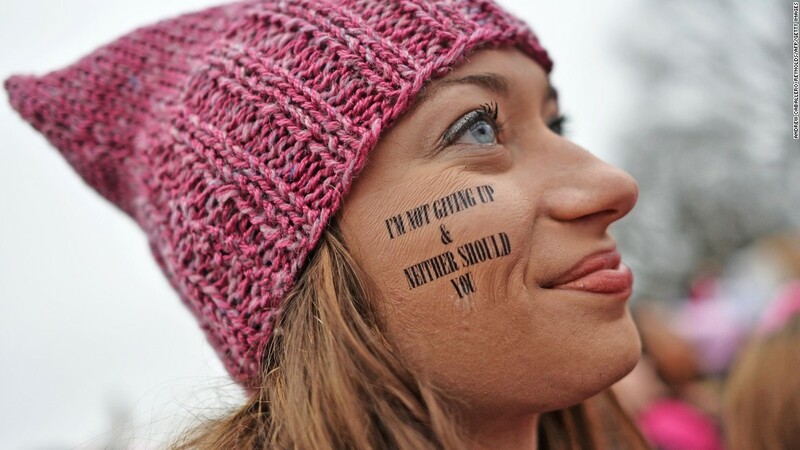 A woman chants at the Women’s March on Washington. 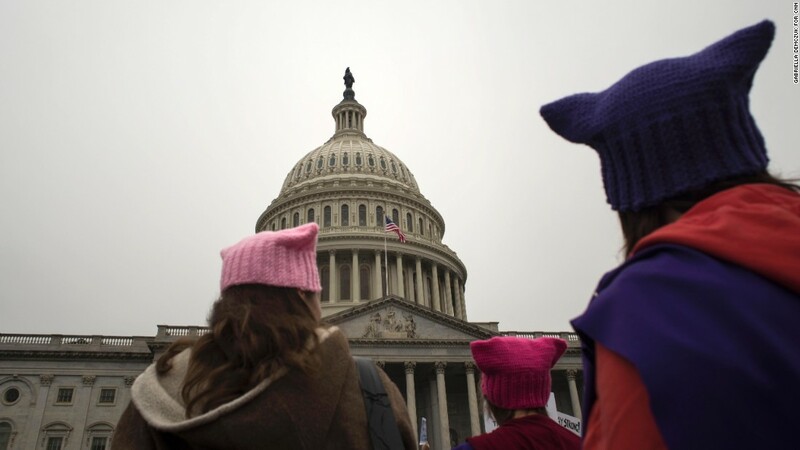 Women with cat hats walk past the Capitol. 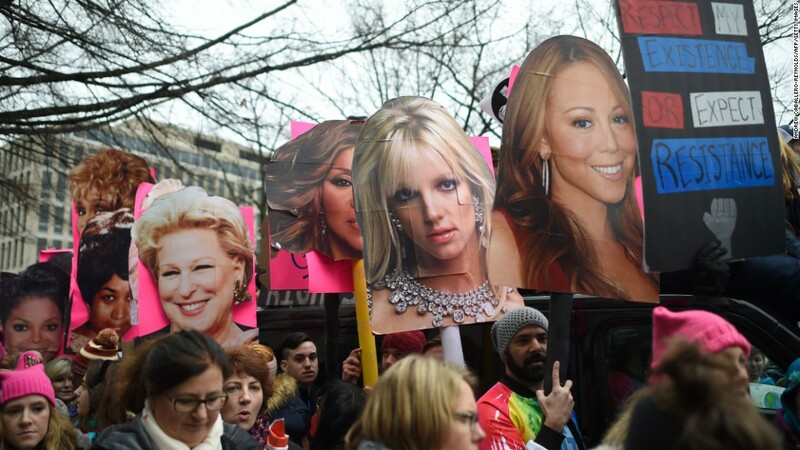 Demonstrators at the Women’s March rally toward the White House on the National Mall. Demonstrators take a break from marching at the National Gallery of Art. Protesters gather on the National Mall near the US Capitol. Protesters gather near the US Capitol. 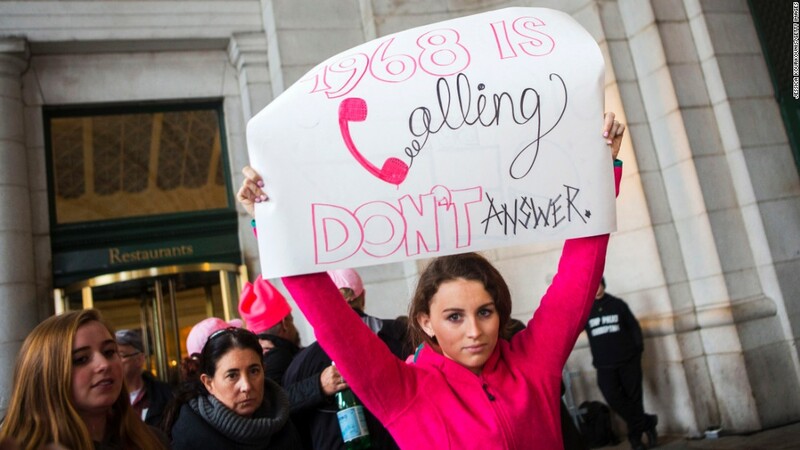 Lily Donahue of Wappingers Falls, New York, center, is among the thousands with signs protesting violence against women. 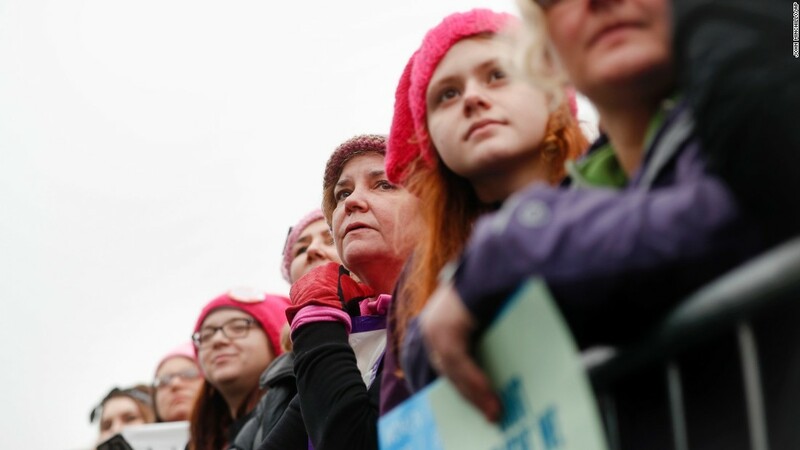 The pink “pussyhat” with cat ears became the symbol the the Woman’s March on Washington as a reference to President Donald Trump’s remarks about grabbing women by their genitalia during the election. 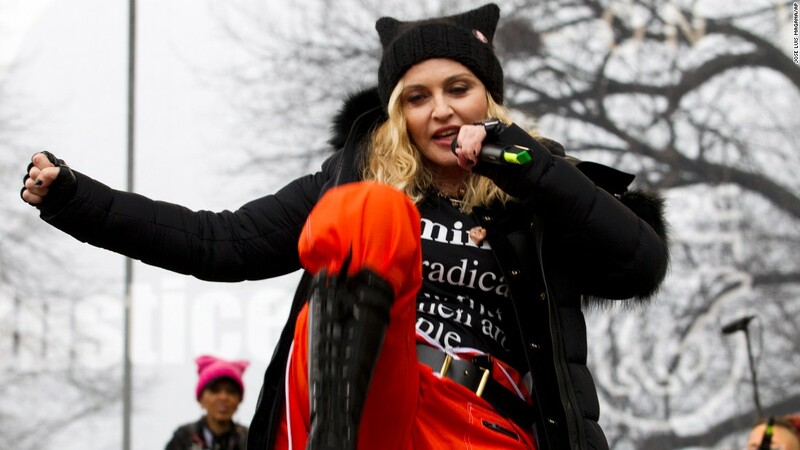 Madonna performs during the Women’s March on Washington, Saturday, January 21, 2017 in Washington. 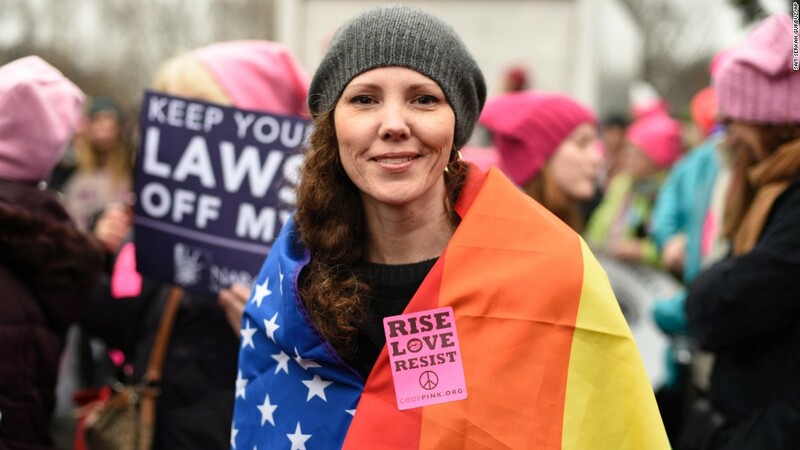 The march evolved from a post-election call to action on Facebook to an organized effort that included high-wattage activists and attendees. 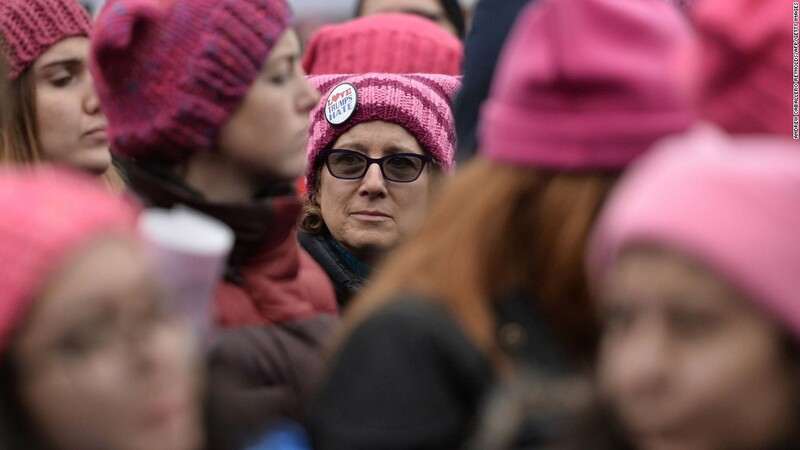 A woman wears a pink hat to send a message during the protest. 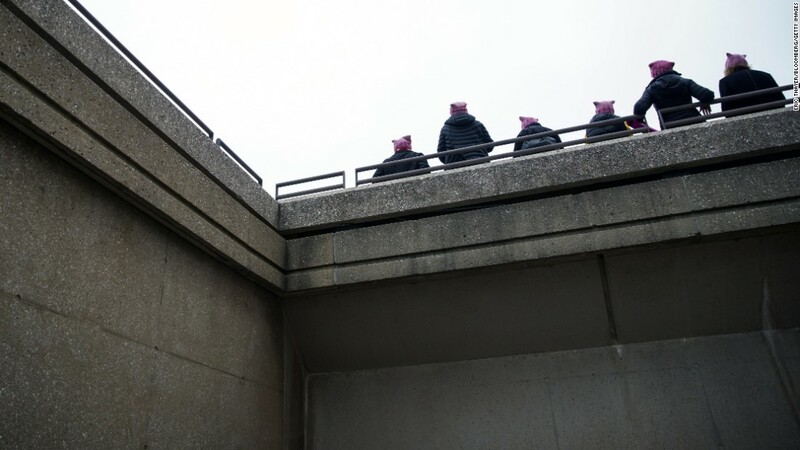 Demonstrators wearing pink hats gather during the Women’s March on Washington in Washington, DC, on Saturday, January 21, 2017. 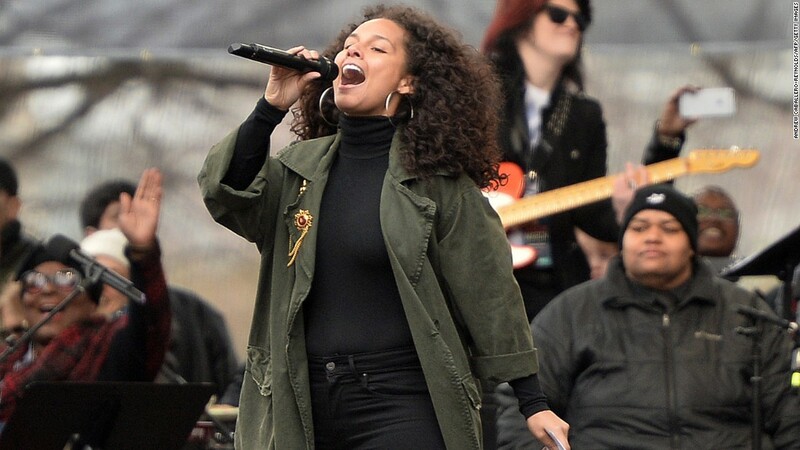 Singer Alicia Keys performs on the National Mall in Washington, DC, for the Women’s March on January 21, 2017. Demonstrators arrive at Washington’s Union Station for the march. 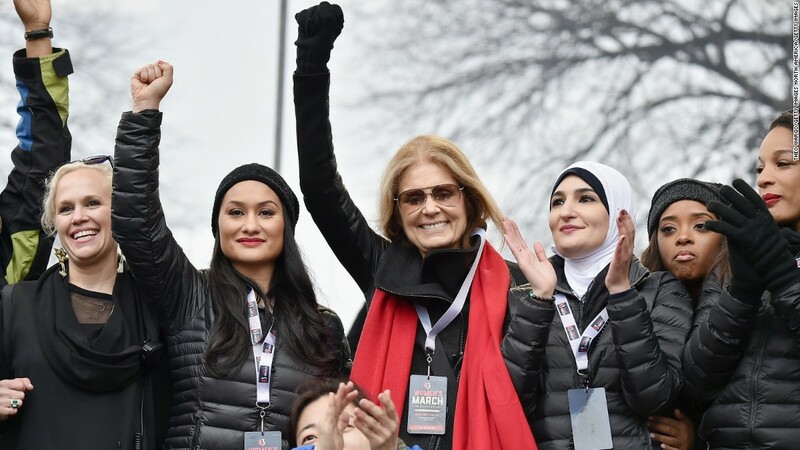 Ginny Suss, Carmen Perez, Gloria Steinem, Linda Sarsour, Tamika Mallory and Mia Ives-Rublee appear onstage during the Women’s March on Washington on January 21, 2017 in Washington, DC. Ginger Naglee of Olney, Maryland, gets into the spirit on Independence Avenue. 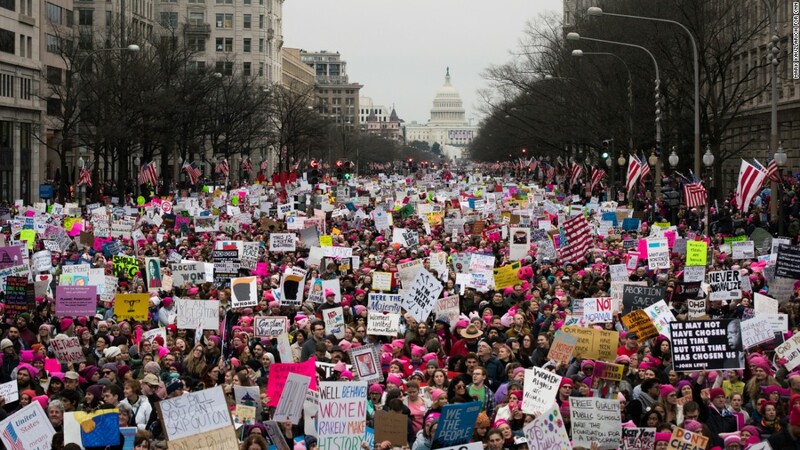 Women gather on a barricade on the National Mall. 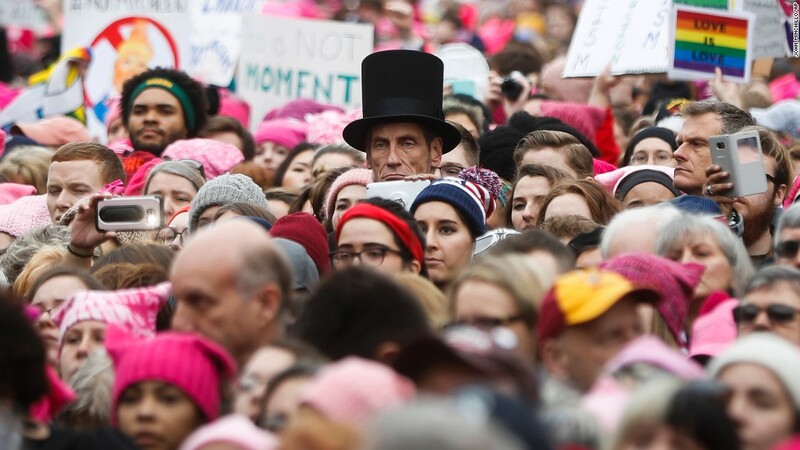 A man dressed as Abraham Lincoln stands with protesters. 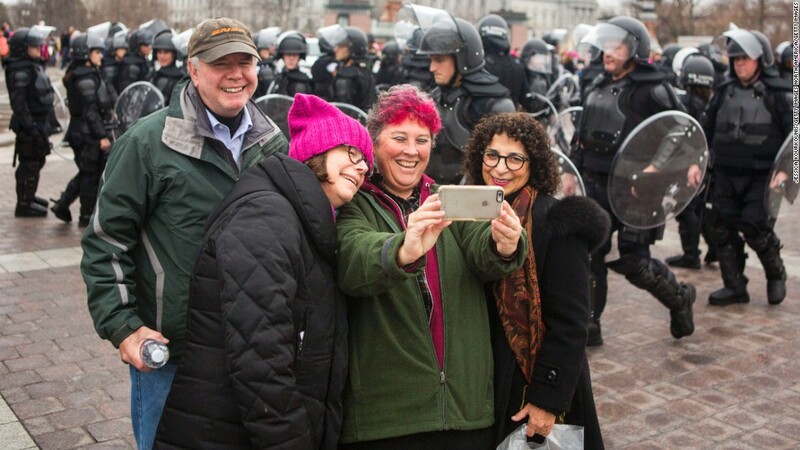 Protesters take a selfie on the grounds of the US Capitol. 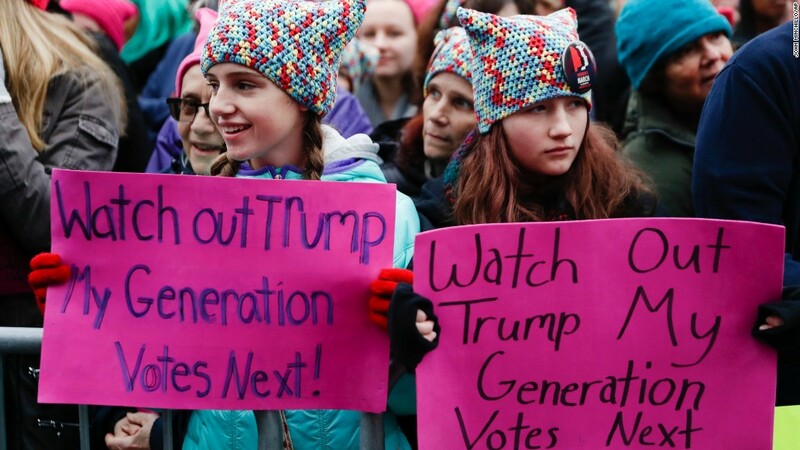 Girls hold anti-Trump signs during the march. New Yorker Nicole Monceaux joins in the march. Demonstrators in New York City marched toward Trump Tower — the President’s main residence when he’s not in the White House — but were blocked at Fifth Avenue. 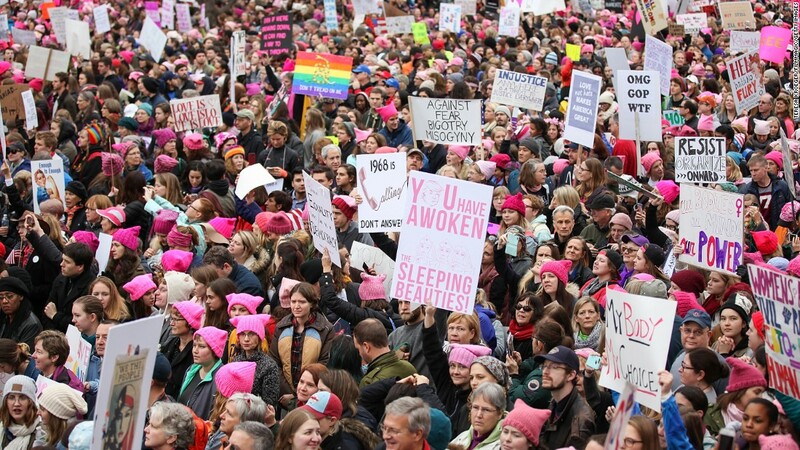 “Sister marches” happened outside the United States, too. 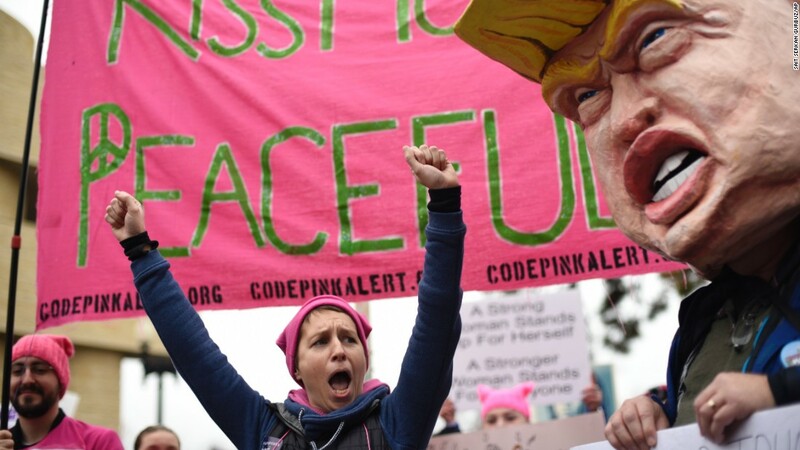 People gathered to demonstrate in most major cities around the world, including London; Tel Aviv; Melbourne, Australia; Pristina, Kosovo; Moscow; Berlin and Mexico City — often in front of US embassies. There was even a protest in Antarctica — about 30 eco-minded tourists and non-government scientists aboard a ship in international waters hoisted signs saying “Penguins for peace” and “Seals for science,” organizers said. 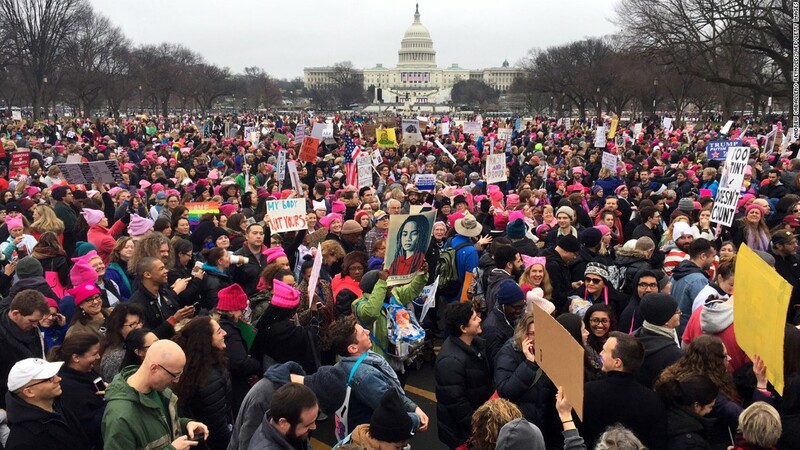 The march organizers believe more people came out Saturday for the protests than for Trump’s inaugural events on Friday. 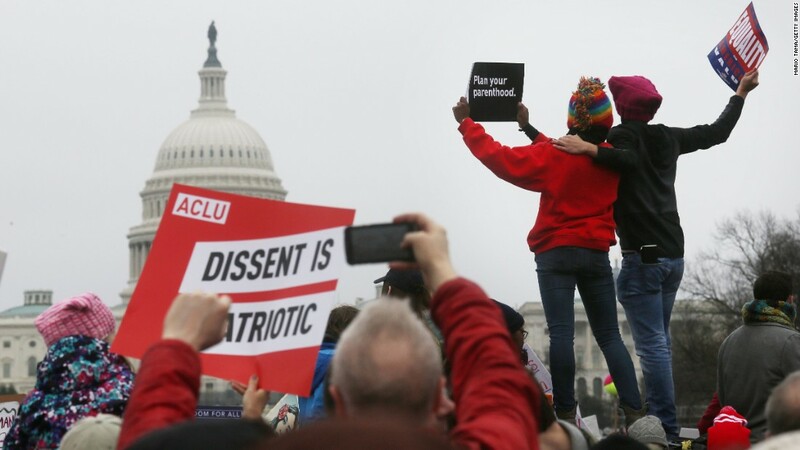 Washington protest organizers, who originally sought a permit for a gathering of 200,000, said Saturday that as many as a half million people participated, dwarfing Friday’s inaugural crowd. “I get up this morning, I turn on one of the networks, and they show an empty field. I’m like, wait a minute. I made a speech. I looked out, the field was, it looked like a million, million and a half people. They showed a field where there were practically nobody standing there. And they said, Donald Trump did not draw well,” the President said. “Now, that’s not bad,” Trump said. “But it’s a lie,” adding that the inauguration drew significantly more than 250,000 people. But Metro confirms numbers first reported in the Washington Post showing that 570,557 riders took trips between the subway system’s opening at 4 a.m. Friday through its closing at midnight. The numbers are lower than what the system saw in 2009 and 2013 during Obama’s inaugurations: 1.1 million trips in 2009 and 782,000 in 2013. But Trump’s stated attitudes toward women and his comments about judging women by their weight and appearance kept coming up, as did his now infamous remarks about grabbing women by their genitalia. 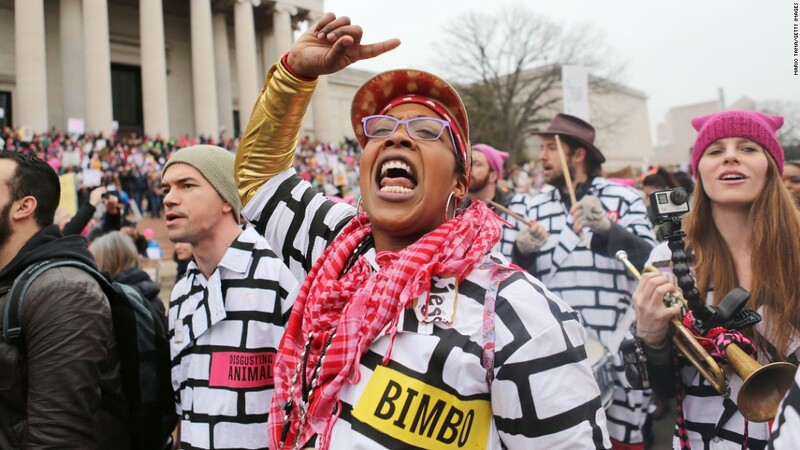 Women’s March: Cathartic moment or enduring movement? 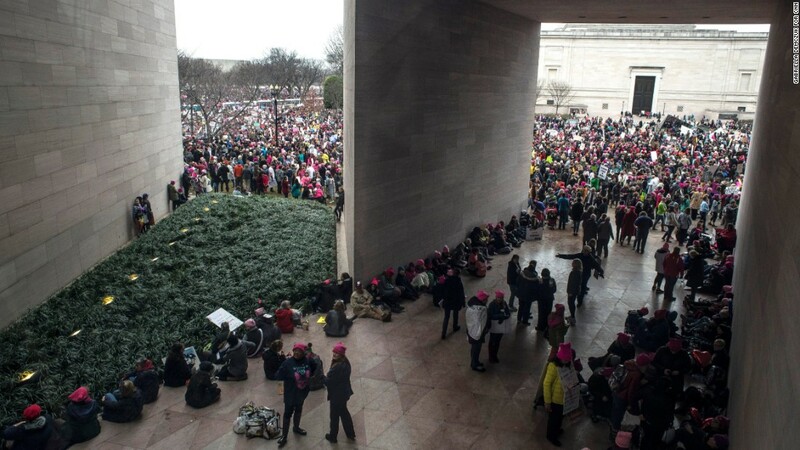 Margaret Huang, the executive director of Amnesty International USA, which co-sponsored the Washington march, said the group’s members were concerned about talk of a Muslim registry. 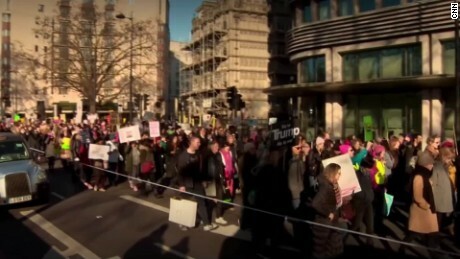 Related Post "Protesters Across Globe Rally For Women’s Rights"